Image recognition and AI-powered visual search to provide personalized product recommendations across website, mail, search and more. Tailor your storefront using personalized product recommendations based on each shopper's style preferences. Bring shoppers down a guided journey through your online store, reduce bounce rates and ensure your shoppers engage with the rest of your site. 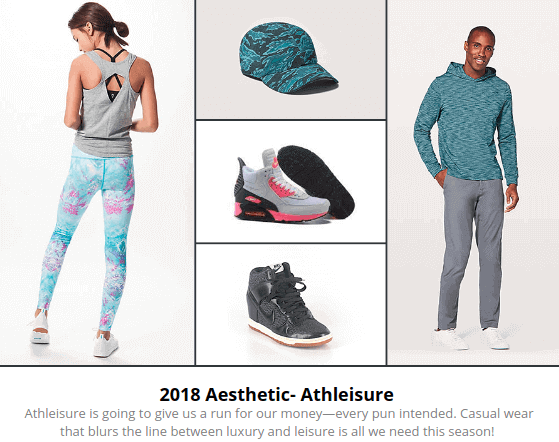 Image Recognition algorithms recognize visually similar styles of the products your shoppers view and provide personalized product recommendations based on clothing styles and shopper's style preferences. Help your shoppers with product discovery and avoid product page bounces. on Product, Checkout, Thank You pages and more. Understand shopper intent with each click and serve up personalized product recommendations with highest likelihood of engagement. 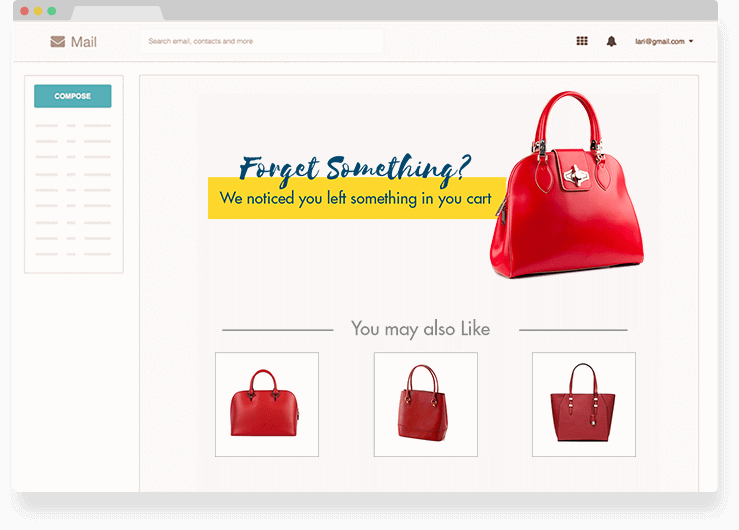 Enable visual style, brand, price and category personalization with every click and keep your shoppers hooked across their journey. No two shoppers view the same products anymore. Using AI and Data Analytics, VueInsights curates personalized collections for your home page, social channels, targeted emails and ad campaigns. 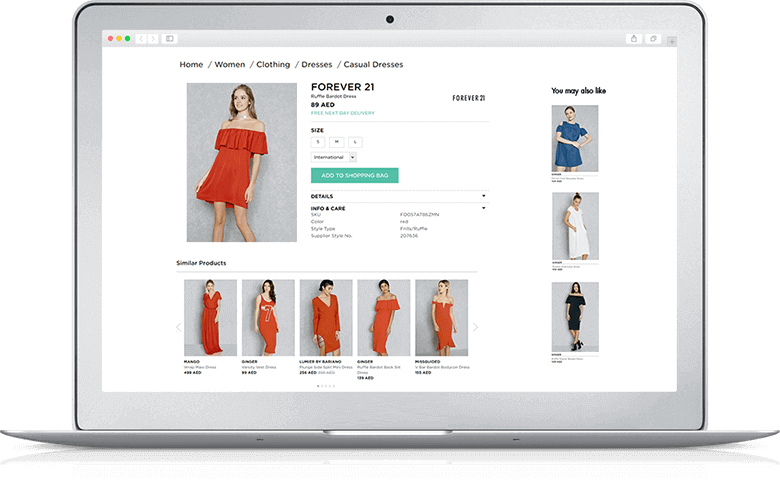 Enables retailers, marketplaces, influencers and brands to use interesting insights on trends and styles to promote products in a meaningful way to their shoppers. engagement and conversion, with VueCommerce. VueMail is the World’s First Visual Style driven, AI powered Email Marketing Solution. 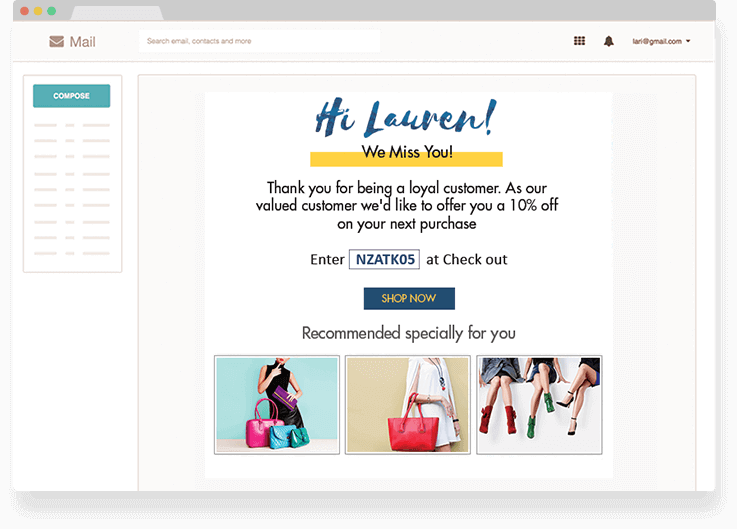 We're simplifying email marketing with an easy-to-use solution that leverages the power of AI to understand the contextual data signals left behind by your shoppers and image recognition that understands visual cues they communicate like color, pattern, design, style and fit. Increase AOV, AOS and get a lift in revenue with items that create a cross-sell opportunity. Help shoppers complete the look based on products purchased. 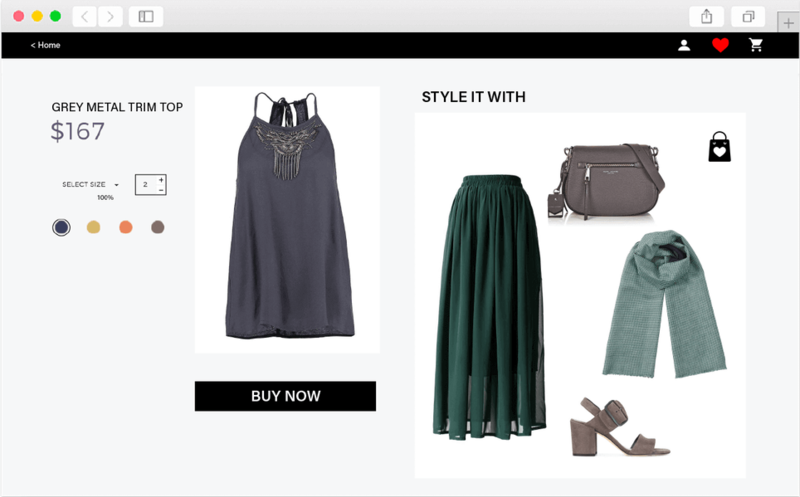 Bring shoppers back to the store with styles visually similar to what they were browsing. Follow-up with shoppers who have abandoned their shopping carts. 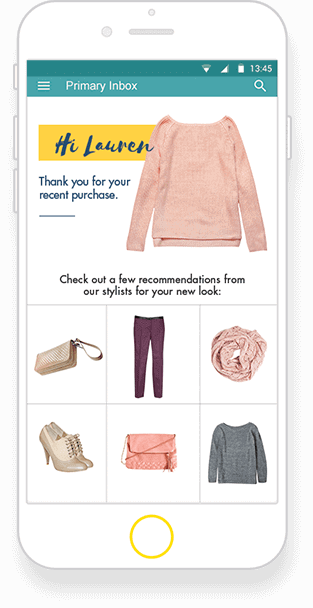 Recover and re-engage inactive shoppers with promotional emails showcasing personalized product recommendations. Improve discovery. Increase engagement. Convert with every personalized search result. 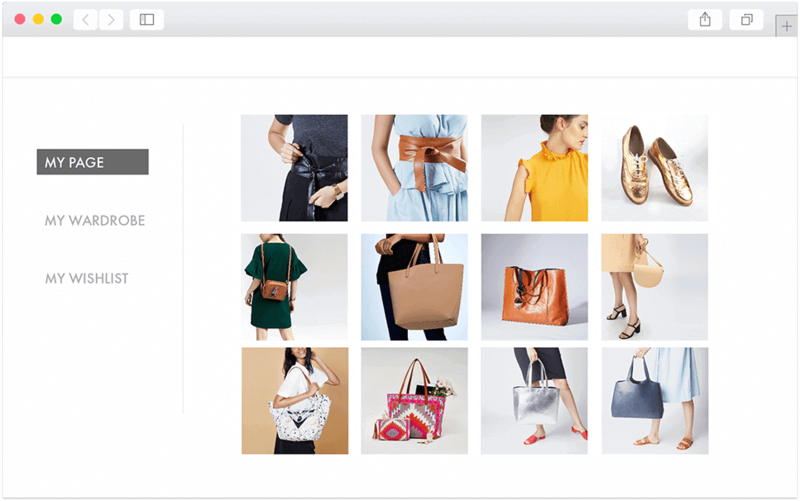 VueFind is a personalized image and text search solution that reimagines how your shoppers discover products. A holistic AI-powered visual search engine, it lets your shoppers choose their preferred way of product discovery – be it clicking a picture of something they see interesting or typing what is on their mind. With its core of Computer Vision and powerful NLP engines, VueFind goes beyond a traditional text search engine, understands shoppers’ implicit preferences like visual cues (colors, patterns, styles), marries it with the right catalog information and provides highly personalized, contextual and relevant search results. Make every search result convert. Show your shoppers you understand exactly what they're looking for.